Comply to new stadium clear bag policies with style. Our clear tote meets all standard requirements so you can take what you would put in a purse and still clear security. 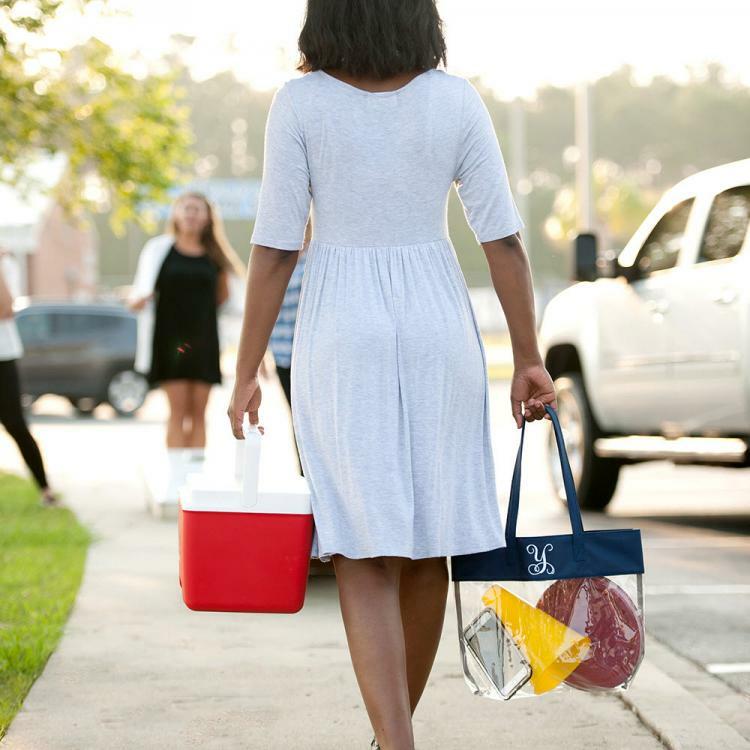 With events in mind, this tote is also easy to wipe clean so you don't have to worry about rain or spills. 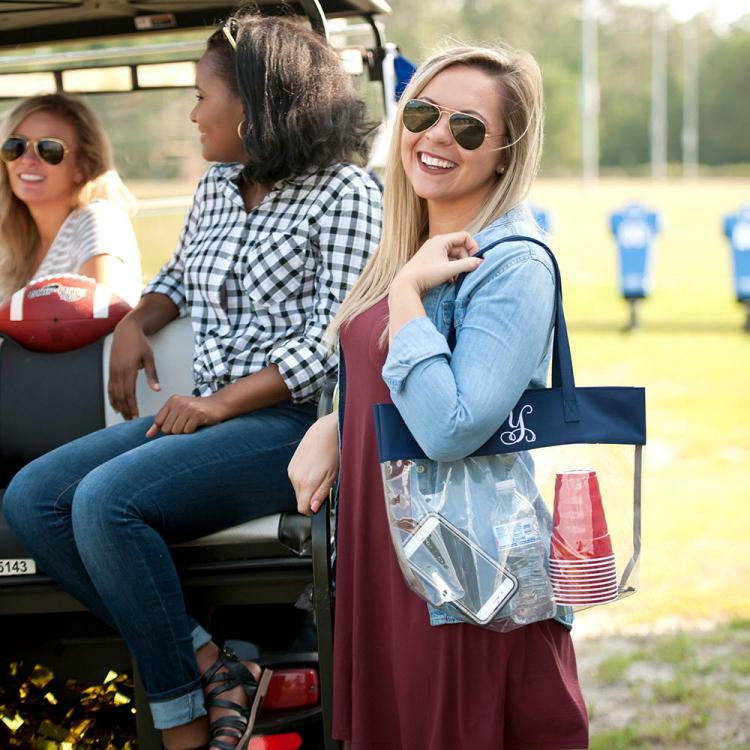 Personalize with your favorite team's name, your name, monogram, or a fun phrase and be cheering in the stands and not standing at the gate when your team is ready to play! Order now so you don't get stuck without your belongings. Clear security and have a great time! High schools and colleges are requiring these for all sporting events, so are many professional stadiums. Be prepared for any event with a variety of bags. OurMonogrammed Clear Bag Gallery has a great selection to get you up to date with the changes and have fun doing it in style.